In some breaking news regarding THQ’s upcoming release of UFC Undisputed 2010, word has come out that there will be an activation code required to play online and players who wish to access any online content will have to pay $5. Destructoid broke the story and got an official comment from THQ about the implementation of the fee. However if you’re a first-time buyer, you will get a one-time use activation code to play online, which will appear on the back of the game’s manual. The $5 fee is apparently for gamers who rent or buy the game from someone who has already used the activation code. THQ’s UFC Undisputed 2010 will be the first game to implement an additional fee to access it’s online content. EA Sports is set to do the same two weeks later with its release of Tiger Woods PGA Tour ’11. Gamers will be prompted to pay the $5 through XBox Live or the Playstation Store before they can access the game’s online features. No free-trials will be given. For those of you who have been keeping track of UFC Undisputed 2010’s progress, you’ll know that outside of the career mode, the online feature is one of the most improved aspects of this year’s game. THQ is delivering a truly unmatched online gaming experience for fans of UFC and across all fighting games in general. The main enhancement of UFC Undisputed 2010’s premium online content is the new “Fight Camp Mode” in which players can assemble ranks of up to 40 people and train together. This is a significant value-add to the game as players can continually improve their skills by training with their friends and bringing teams of MMA specialists together. 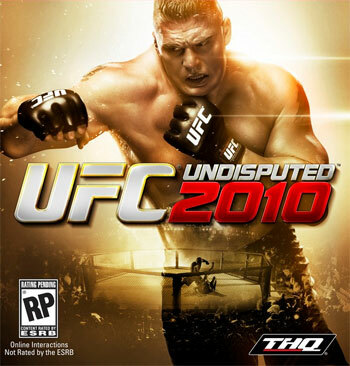 This multiplayer content for UFC Undisputed 2010 will be available via a one-time code included with the game at purchase. Codes for accessing the content will be available for second-time buyers for an additional $5. Details for acquiring the codes and how this will work will be available via the UFC community site. UFC Undisputed 2010 will officially release on May 25th.